Opuntia cactus plants, also called Prickly Pears, form a very large group within the cactus family. It is an important cactus group because Opuntia has many culinary uses. 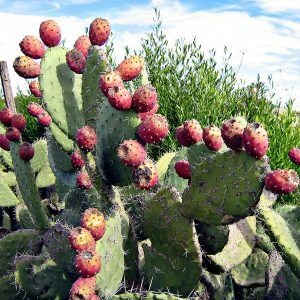 Especially Opuntia ficus-indica (Indian Fig Opuntia) where the fruits (tuna) and the pads (nopal) are used. 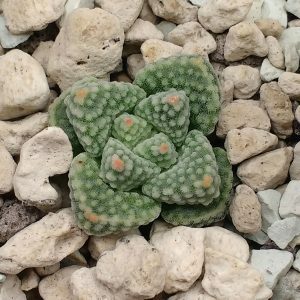 You can recognize Opuntias by their flat rounded stems (pads). They can be found in South America and the southern parts of North America. Cultivation is rather easy. They grow in any rich cactus compost with good drainage. Some species are hardy but most prefer a minimum temperature ranging from 7-13 °C in winter. 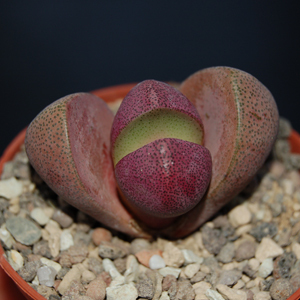 Propagation can be done from seeds which can take a long time to germinate. Usually Opuntia species are propagated by taking cuttings. 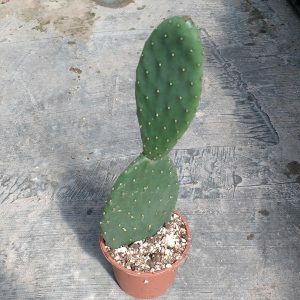 Opuntia is also a great grafting stock because of its relatively fast growth.